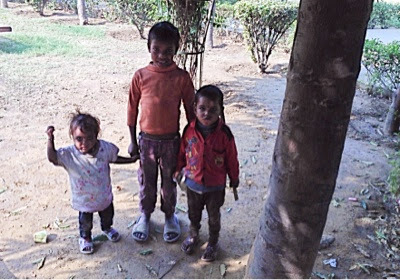 Three poor children in park. Elder one seems to be taking care of two little ones. Look at the little one, waving at me.